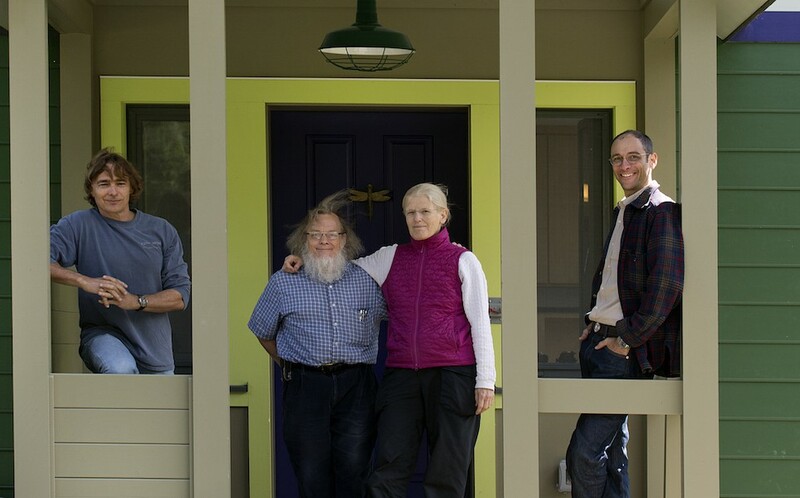 A single family home with integrated work space designed to be combustion and fossil fuel free. The first year of performance data has returned a Net Positive result, meaning the home generated more energy than the occupants used for all heating, cooling, cooking, hot water, and plug loads. The clients wanted an extremely efficient home with dedicated office space that could accommodate large family gatherings as well as their future retirement needs. A healthy indoor environment, with exceptional indoor air quality and ultra-low VOC content, was a major design driver. Several iterations of the project were considered, including a gut renovation of the existing house on-site and the use of pre-fabricated components. Ultimately, it was decided that site-built new construction promised the best match for the Clients’ needs. 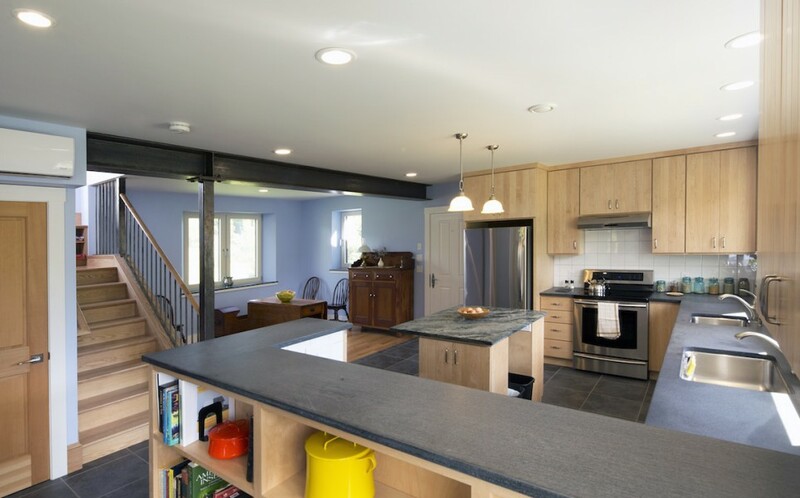 An open and functional floor plan was desired for the living and kitchen areas. The Clients wanted a space flexible enough for extended entertaining, while remaining comfortable for day to day use. 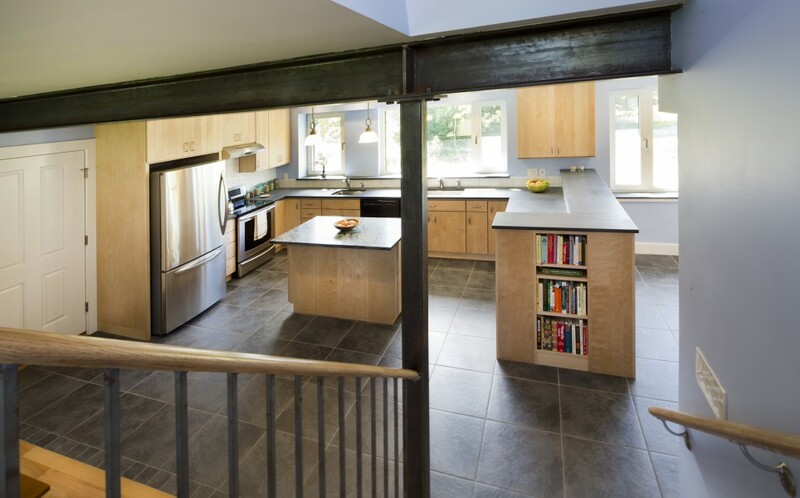 An exposed steel beam was used to achieve the large open span desired between the kitchen and living area. This avoided an engineered wood product with a glue which, after testing, was proven to irritate VOC sensitivities. The beam became a stunning visual element echoing the raw finish of the nearby stair rail balusters, and playing off the stone countertops and tile flooring of the kitchen to create a soft, natural palette. Materials were chosen not only for their beauty, but for durability and their resilience to the absorption of contaminants. The resulting aesthetic is one of clean lines and smooth surfaces, complimented with splashes of saturated wall color that reflect the abundant natural light. A ground floor walkout and earth-bermed root cellar connect gardens to an indoor project/playspace on the lower level, strengthening the home’s connection to the rich life of the surrounding landscape. 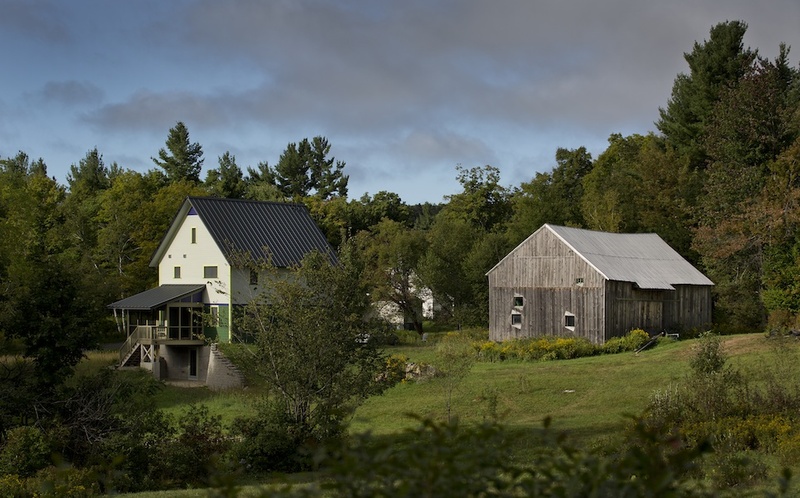 The root cellar was included to provide extensive food storage space that takes advantage of the near constant subterranean temperatures and humidity to create a preservative environment, rather than increasing the building energy loads. To assure that no materials used in this project would introduce potential chemical irritants, a sample of each product of concern was personally tested by the Client. A web-based tracking system was designed to allow Client, Builder, and Architect real-time access to a database of tested products and their subsequent approval or rejection. Dedicated off-gassing periods were built into the project schedule to allow required building elements that may pose a temporary VOC risk to release their volatile compounds before assemblies were sealed. 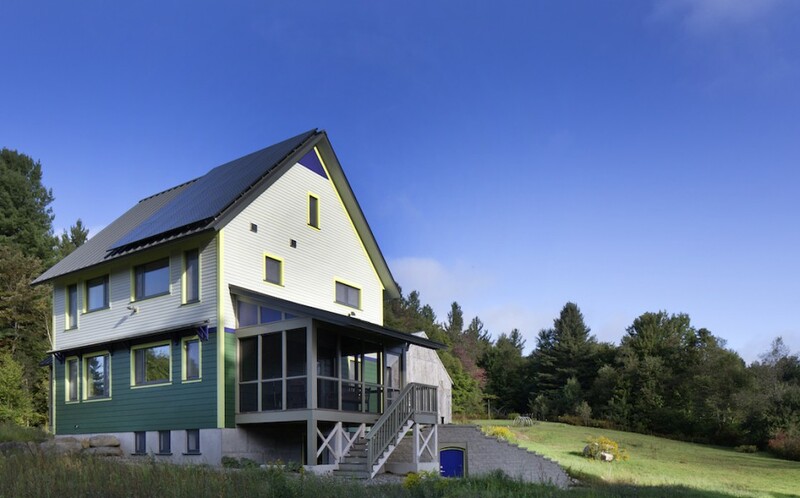 The building was oriented to allow for a 6.54 kW photovoltaic solar array to be mounted on the South sloping roof. Enough roof space remains for the later addition of additional PV to support an electric vehicle charging station. The success of this project was realized through the close collaboration and diligence of Client, Builder, and Architect. Anything less than complete engagement from any team member would not have resulted in the high-performance and very personal space the Client desired, and ultimately received.